The major lender has launched the new scheme to try and improve energy efficiency and sustainability standards in New Zealand homes. 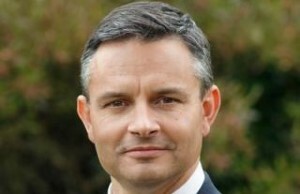 ANZ announced the offer alongside Green Party leader and Minister for Climate Change, James Shaw MP (pictured), this morning. ANZ has promised to cut 70 basis points off standard fixed-rate loans and up to 1% from standard floating and flexible home loan rates. The deal also offers customers fee waivers. The discount could knock down ANZ's one year rate to just 3.75%, based on the lender's current rates. The offer is open for new build homes that get a 6/10 rating or higher from independent rating agency Homestar. Antonia Watson, managing director of retail and business banking for ANZ New Zealand, said the bank wanted to help improve building standards in New Zealand. “Most existing New Zealand homes only achieve a two or three rating, and new homes – even though they’re built to the Building Code – will only achieve three or four. "We’d like to play our part in raising those standards, and creating more homes that are warmer, drier and healthier. The idea of building sustainably is not yet mainstream in New Zealand. It’s viewed as an expensive luxury, rather than the basic standard it should be," Watson added. The offer is the latest product aimed at construction properties, which are not bound by LVR restrictions. Last year, ANZ offered $100 million in interest-free loans for insulation.